Dead silence. A target is visible through the reticule of a high powered rifle, a lone gunmen carefully peeking out from behind a nearby tree. He is unaware that his life is about to end. It happens without warning. A whisper of a sound escapes from the rifle, and the man’s midsection is pierced. He falls backward, a red stain widening across his chest. We’re not holding the rifle, but we’re staring through the sights. We’re involved. We’re complicit. 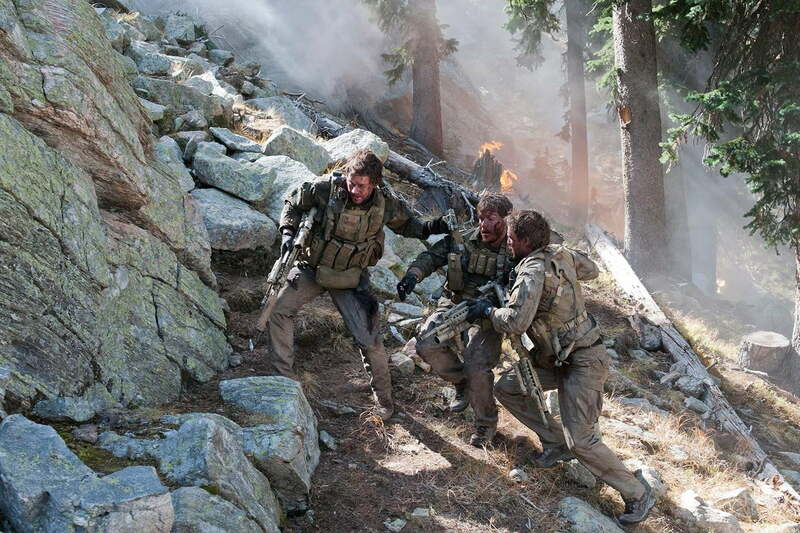 It’s a moment that could have been pulled straight out of a video game, but it’s actually the first act of aggression in Peter Berg’s grueling journey through war-torn Afghanistan in Lone Survivor. 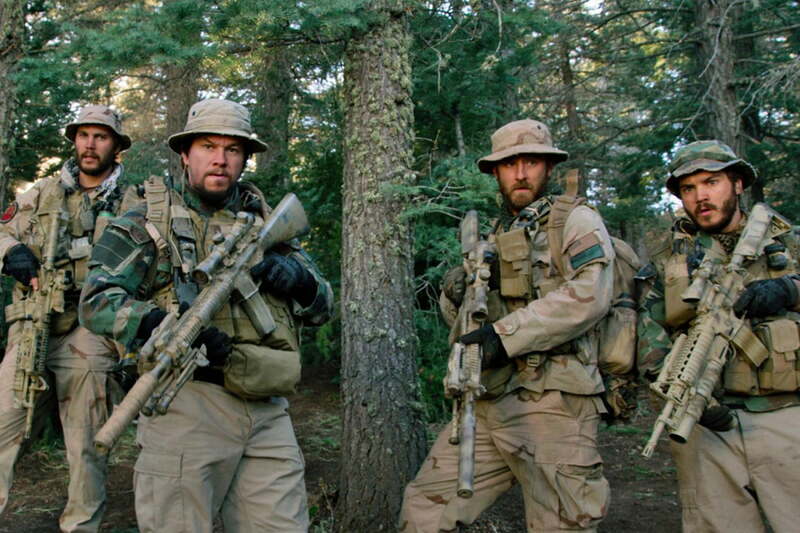 The film is based on the true story of Navy SEAL Marcus Luttrell’s experiences during Operation Red Wings, a 2005 surveillance mission that went horribly, horribly wrong. 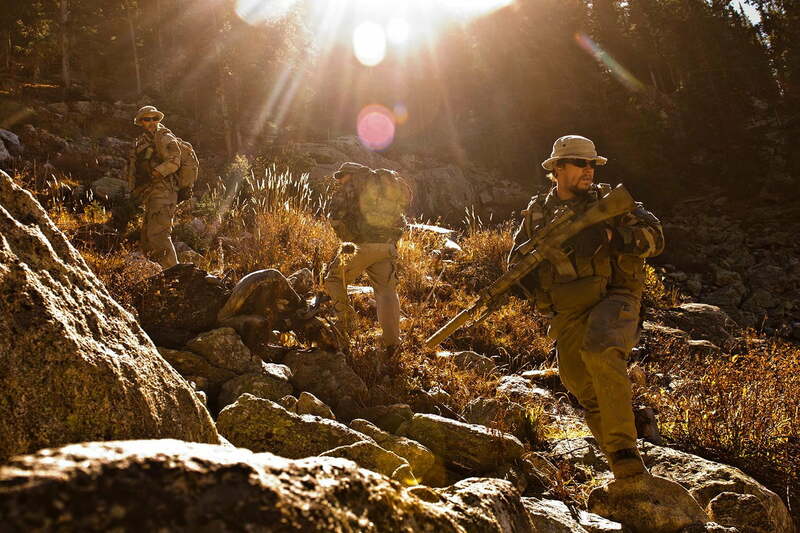 Berg’s kinetic camera trails Luttrell’s crack four-man squad as they attempt to survive in an impossible situation. It isn’t an easy movie to watch, and that’s the point. There’s a raw intensity to the violence, and a sense of complicity as the camera repeatedly returns to that targeting reticle. The four SEALs make a mad rush to escape from advancing Taliban forces, only to repeatedly find themselves snared by enemy fire and the sheer drops peppered through Afghanistan’s mountainous terrain. Each tumble down a rocky hill is punctuated by slow-motion moments that serve to highlight and heighten the impact of bone-on-stone. It’s painful, exhausting. Yet it’s also inescapably – and yes, somewhat disturbingly – exciting. Military movies don’t play like Patton or Bridge on the River Kwai anymore. The sense of theatrical staging is gone, replaced by a gritty feel that endeavors to put the audience right there on the ground alongside the actors. One need only look at Steven Spielberg’s gripping Normandy invasion in Saving Private Ryan or Zero Dark Thirty’s climactic final mission to see it. 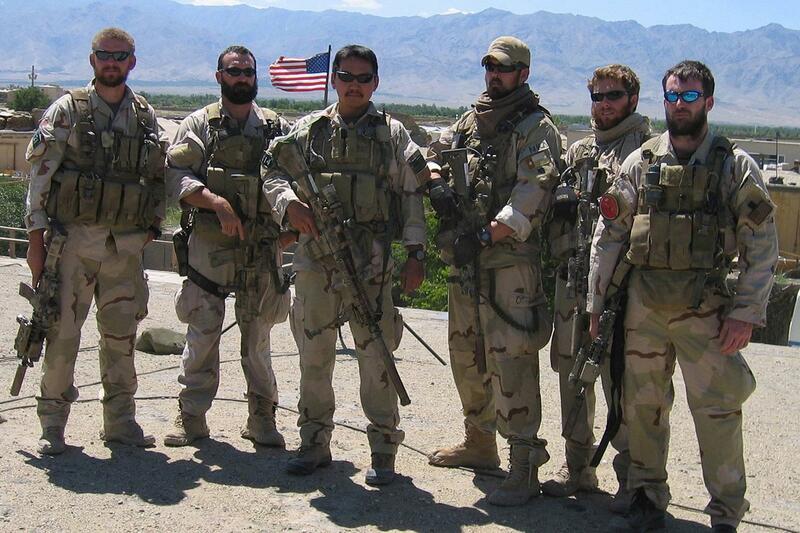 In Lone Survivor, Berg spends nearly every uncomfortable moment in close proximity to these doomed soldiers. It’s a brutally in-your-face sign of how military storytelling has evolved over the past century. Saving Private Ryan is 15 years behind us now, but it represents some of that fundamental shift in the way war stories are told on film. The storming of the beaches at Normandy is easily one of the most memorable movie moments of the past 20 years, but the rest of the film takes a more personal, even dramatized journey. Is it any wonder that Spielberg and star Tom Hanks went on soon after to co-develop the extremely personal war stories of Band of Brothers and The Pacific. Fusing individual narrative with gritty action is a familiar tactic in more recent years. Kathryn Bigelow’s 2008 Oscar-winner The Hurt Locker is perhaps the most recent example. The trip we take with star Jeremy Renner is gripping, fraught with tension both in a personal sense and in the very real life-or-death danger sense. One of the film’s most powerful moments comes during a desert shootout that wouldn’t at all be out of place in any number of popular interactive shooters. “I think video games have had a bit to do with [that evolution],” actor Eric Bana tells Digital Trends. 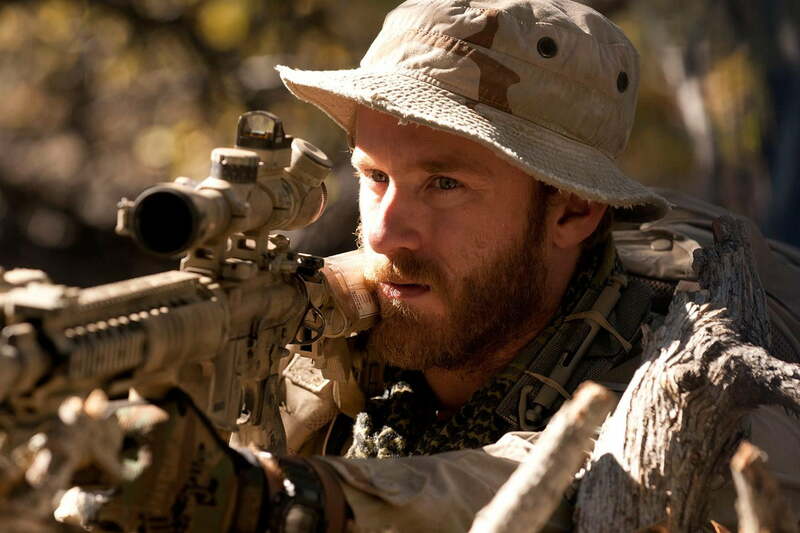 Bana plays Lieutenant Commander Erik Kristensen in Lone Survivor. Kristensen, along with 18 others, gave his life back in 2005 during Operation Red Wings and the subsequent failed attempt to rescue Luttrell and his fellow SEALs. Bana has experience with the sort of gritty war film that’s become increasingly popular, having also worked with director Ridley Scott on 2001’s Black Hawk Down. Bana gives a lot of credit to the efforts of the supporting players in capturing the beating heart of the modern military film. He recognizes the important role that individual cast members play of course, but the crew is just as instrumental in delivering an on-the-ground take on modern warfare. The cinematography in Lone Survivor puts you right there, whether you’re staring through a rifle scope, zooming tight on a fresh wound, or pulling back, way back, to take in the enormity of the environment that these soldiers must traverse in their run for safety. “There’s an element of pressure … to come up with something different, more visceral, more handheld,” he says. It’s Luttrell himself, serving as an advisor on Lone Survivor, who brings more of an outsider perspective. It’s familiar territory for video games too; that’s exactly what Bana is referencing. Look at early Medal of Honor games or even more recent Call of Duty games. They all embrace a romanticized take on warfare, channeling the same sort of blockbuster sensibilities that Spielberg balanced between in his gritty-yet-personal delivery of Saving Private Ryan. Compare that now to a work like Yager Development’s 2012 shooter, Spec Ops: The Line, which rendered warfare in such an unflinching, unfriendly manner that it’s been the subject of a book-length critical teardown. 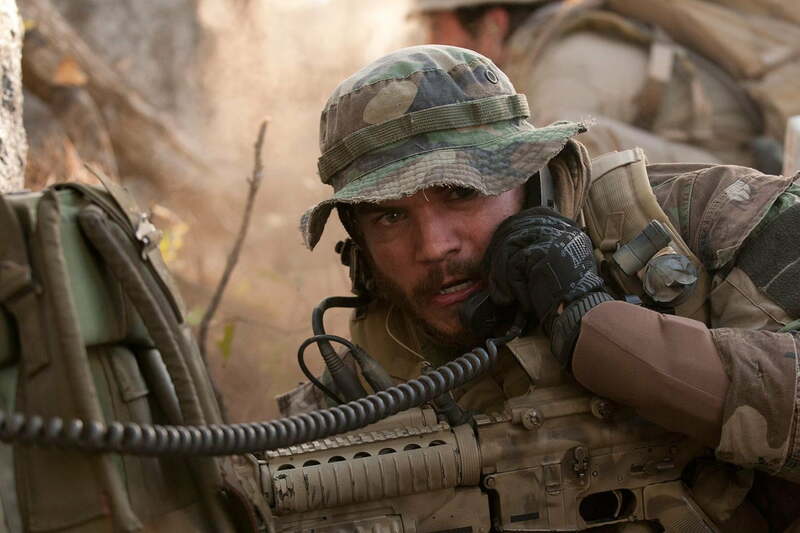 Emile Hirsch, who plays Luttrell’s squadmate Danny Dietz Jr., agrees with Bana’s assessment in the way it applies to his own process as an actor. “Sometimes [when] you’ve got traditional shots and traditional setups, you feel that sense of staginess … that might stiffen you up as an actor,” he says. It’s Luttrell himself, serving as an advisor on Lone Survivor, who brings more of an outsider perspective. Bana and Hirsch both speak directly to the evolving nature of war-focused entertainment that the viewing audience consumes. Video games, especially first-person shooters, provide a familiar touchstone for film audiences in unflinching, up-close perspective on war like the one Berg delivers. Luttrell, who is effectively watching fictional takes on events that he lived through, still embraces the attitude of an audience member when he watches military films. Marcus Luttrell served in the U.S. Navy from 1999 to 2007, leaving two years after the events of Lone Survivor. He was a member of SEAL Team 10 during the time of Operation Red Wings, and his valorous actions during those difficult five days in Afghanistan earned him a Purple Heart and a Navy Cross. Upon returning home, and after emerging from physical therapy, he co-wrote the book Lone Survivor on which Berg’s movie is based. He also founded the Lone Survivor Foundation in an effort to help returning veterans re-acclimate to life at home. Movies represent an escape for Luttrell and his brothers in arms. He talks about how an action movie can help to bolster spirits before heading out on a mission, but the real value for him seems to stem more from a fictional tale’s ability to transport the viewer. As much as the modern military film makes the viewer complicit in the unfolding events, it’s also an undeniable escape.